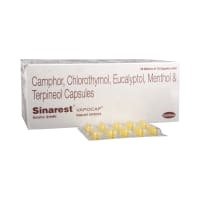 Rinostat Tablet is used in the treatment of common cold symptoms. Take this medicine in the dose and duration as advised by your doctor. Swallow it as a whole. Do not chew, crush or break it. Rinostat Tablet may be taken with or without food, but it is better to take it at a fixed time. Rinostat Tablet is a combination of three medicines: Paracetamol/Acetaminophen, Chlorpheniramine Maleate and Pseudoephedrine which relieve common cold symptoms. Paracetamol/Acetaminophen is an analgesic (pain reliever) and antipyretic (fever reducer). It blocks the release of certain chemical messengers in the brain that are responsible for pain and fever. 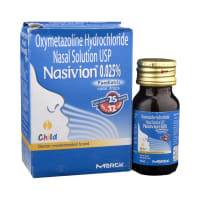 Chlorpheniramine Maleate is an antiallergic which relieves allergy symptoms like runny nose, watery eyes and sneezing. 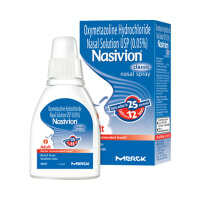 Pseudoephedrine is a decongestant which narrows the small blood vessels providing relief from congestion or stuffiness in the nose. It is unsafe to consume alcohol with Rinostat Tablet. Taking Paracetamol/Acetaminophen+Chlorpheniramine Maleate+Pseudoephedrine with alcohol can cause liver damage. Rinostat Tablet may be unsafe to use during pregnancy. Rinostat Tablet is probably safe to use during lactation. Limited human data suggests that the drug does not represent a significant risk to the baby. 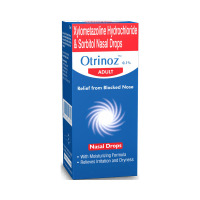 Rinostat Tablet may make you feel dizzy, sleepy, tired, or decrease alertness. If this happens, do not drive. Rinostat Tablet is probably safe to use in patients with kidney disease. Limited data available suggests that dose adjustment of Rinostat Tablet may not be needed in these patients. Please consult your doctor. Rinostat Tablet should be used with caution in patients with liver disease. Dose adjustment of Rinostat Tablet may be needed. Please consult your doctor. 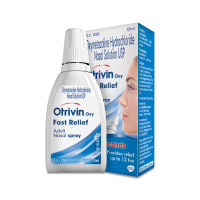 Do you have any questions related to Rinostat Tablet? A licensed pharmacy from your nearest location will deliver Rinostat Tablet. Once the pharmacy accepts your order, the details of the pharmacy will be shared with you. Acceptance of your order is based on the validity of your prescription and the availability of this medicine.